While you're awesome everyday, this bottle stopper will save your favorite bottle to increase your awesomeness level tomorrow. 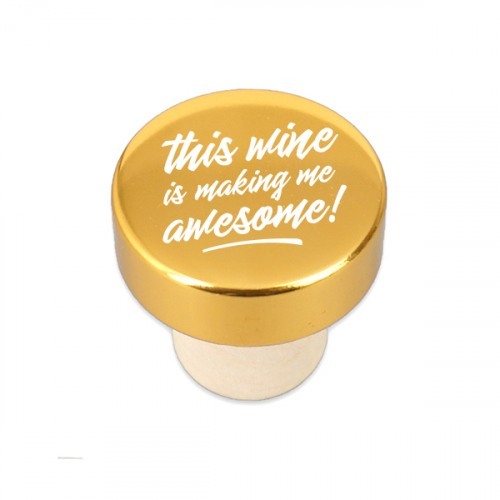 Using this gold "This Wine Is Making Me Awesome" wine bottle stopper is a must when drinking any wine! Add the frost flex cups and cocktail napkins for a great wine lover's gift!